‘At the Soho Mint, James Watt and Matthew Boulton used their steam powered coin presses to make twopence coins. These 2d coins weigh exactly 2 ounces (56g) making them the heaviest British coins for ordinary circulation. 722,160 were minted, all bearing the 1797 date. 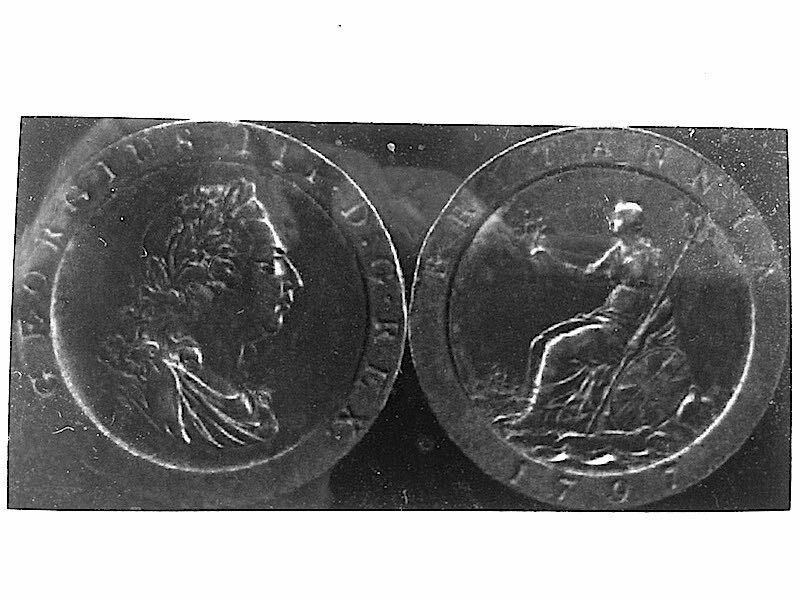 The obverse reads GEORGIUS III * D:G * REX and the reverse BRITANNIA 1797. The large size of the coins, combined with the thick rim led the coins being nicknamed cartwheels.